Woof woof! It’s Reg here. Officially, Reginald, but you can call me Reg or Reggie or Reg-Man or Regimundo. Don’t believe anyone who tells you Gigi is the star of the Gourmet De-Lite series—I am. I go with her everywhere, and I’ve always got her back. I used to belong to a woman named Martha but she died and Gigi adopted me. I’m so glad because she’s younger and way more fun. She cooks great meals that may be lower in calories than their gourmet counterparts, but still taste delicious. I get to have a taste now and then. She also lets me sleep on the bed. I make sure to keep her feet warm. Whenever we go out together, I ride shotgun and keep an eye out for anything out of the ordinary. She’s a good driver, but sometimes she needs a co-pilot, know what I mean? I’ve also saved her bacon a couple of times (maybe that isn’t the best phrase to use because let’s face it, where bacon is involved, dogs are all over it. No way there’d be any left when I got done with it.) We’ve had our share of adventures, that’s for sure—being shot at, locked in a basement, had our car tampered with, you name it, we’ve done it! And we’re still here—in no small part thanks to moi! I’d love to meet you so pick up a Gourmet De-Lite book and let’s get to know each other! Pick up the latest copy of the Gourmet De-Lite series, ICED TO DEATH. Or, check out Peg Cochran's The Lucille Series with UNHOLY MATRIMONY. I think you will enjoy both! Well hello there Reggie. It is such a pleasure to meet you. I love the Gourmet De-Lite series. You are indeed a great and important character in these books. I am so pleased to see that one of the authors finally posted about a canine. There are ways too many authors posting about their feline characters. I say dogs rule and you are one delightful dog Reggie. Woof! We agree! Hi, Reggie. Reg here-- you know the saying "dogs rule and cats drool..." I did have an older sister who was a cat and we got along okay, but she's gone over the Rainbow Bridge so now it's just me taking care of things here. Hello, Reg. Great to get a chance to bark with you my friend. 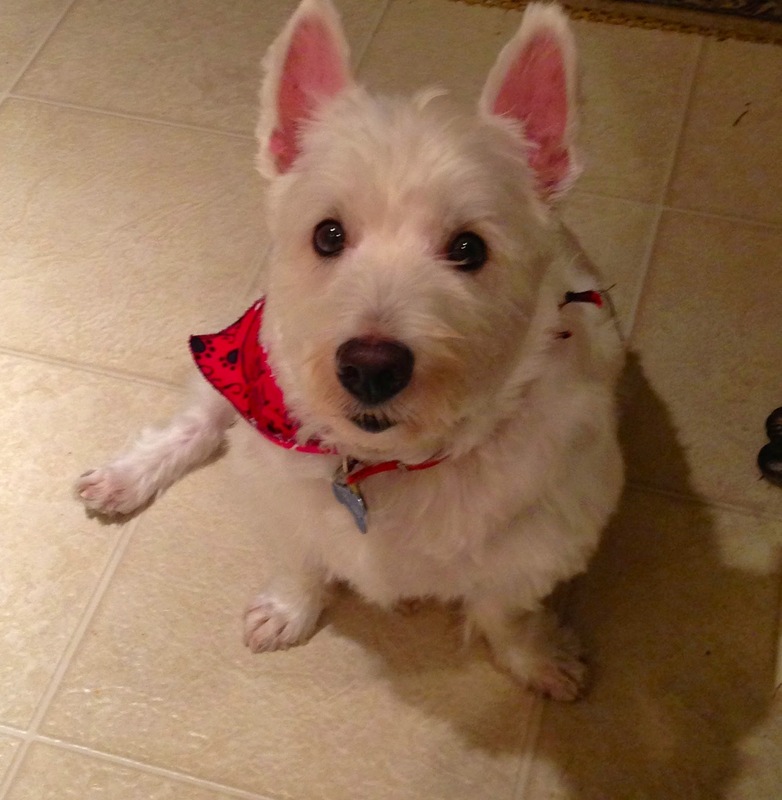 Around here we like to say: Westies rule, other dogs, drool. BOL Dad and I love reading about your adventures with Gigi. I'm very happy that you are getting a bigger role in the adventures of Gigi. If you and Gigi every need a paw around the kitchen, just give me a bark and I will grab my toque and help you out. I'll work for treats. Hey, Duncan! Good to hear from you, man! Hope your human is well, too! You'll have to come join me in a book one of these days! Delighted to meet you, Reg. Sounds as if you have some interesting adventures with your human. I do, too, with mine. If I could cross my fingers, I'd cross them to ensure that you have fun and stay safe. Awww Reg, you are SOOO cute!